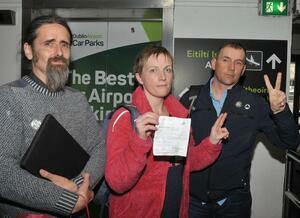 Luke Ming Flanagan (left) and Gino Kenny flank Vera Twomey at Dublin Airport in April, 2017 after Vera obtained medicinal cannabis for her daughter Ava in Barcelona, Spain. Vera Twomey has fought a well documented battle to gain access to a life changing cannabinoid based medicine for her daughter Ava Barry. She now faces another battle in order for her daughter to continue using this same medicine. The reason. 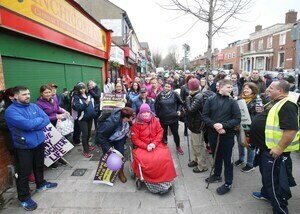 The HSE are refusing to fund it under the Long Term illness Scheme. Not because of medical reasons but purely for bureaucratic reasons. Furthermore the HSE are now trying to force Ava Barry’s family to use another product sourced in the Czech Republic which does not have the support of either of the two consultants working with the child. 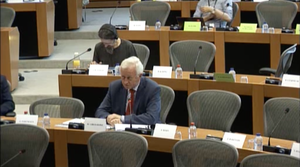 Worse still is the fact that the family would not get the equivalent medical support in the Czech Republic that they are currently receiving in The Hague. The HSE are telling us that ‘Market Authorisation’ is the reason for this issue now arising. They say that due to this they cannot fund the medicine under the Long Term Illness scheme. However it is clear to anyone that if the state wished to fund the medicine under another mechanism then they could. We are talking about €1600 per month. A drop in the ocean of HSE funds. Having climbed this mountain it would be farcical and potentially tragic if all this progress was halted because a government bean counter couldn’t work out how to get few extra beans out of the jar. Leaving This Kip Zinging Ming Nearly There Free Now? 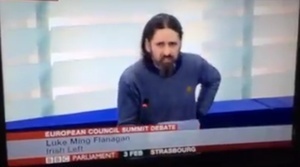 Posted in Misc and tagged Luke Ming Flanagan, Vera Twomey at 1:54 pm on March 22, 2018 by Bodger. Harris has been involved in this since he became Health Minister. Yet, as usual under FG people have to fight and fight. I don’t disagree, but the HSE seems to make these kind of heartless decisions on a regular basis. It suggests that there is a culture of nastiness in that organization which ought to be looked in to. Cannabis is the key to eternal youth. this isn’t a health issue, rather it should be landed squarely at the door of the minister for justice who has the authority to grant a licence to this patient’s consultant. (b) cultivate opium poppy or Cannabis, or any plant of the genus Erythroxylon as may be specified in the licence. If the HSE are going to fund it then Simon Harris needs to make sure his department are making the necessary changes to the Long Term Illness Scheme lists. That’s not something the minister for Justice can do. it reads to me like a regulatory problem that the HSE don’t want to deal with. if the MOJ grant an import licence then the consultant can import from wherever he/she wants and the HSE can then argue it should be placed on the LTIS list. Seems a bit steep, no? Medicinal cannabis oil prescribed for a diagnosable condition is obviously not the some as recreational use. One suspect it’s all about corruption. So the question remains, who are the crowd in the Czech Republic? And what is their connection to the HSE?